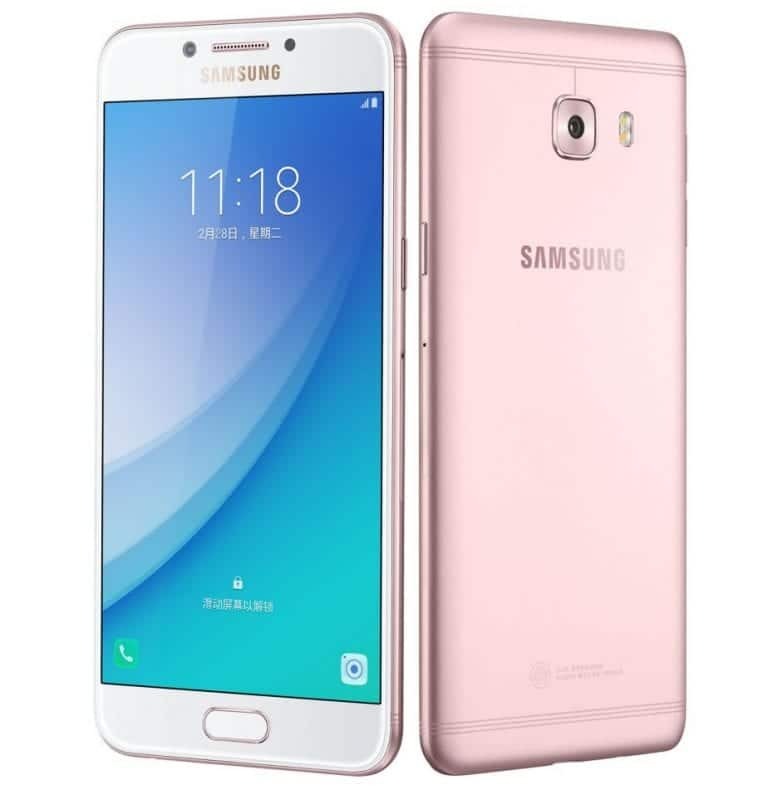 The Samsung Galaxy C series of smartphones is a very large series, one that is always updated before the expiration of three months. A new smartphone, the Samsung Galaxy C5 Pro has been added to the series to succeed last year’s Galaxy C5. As is common between predecessors and successors in the Galaxy C series, the Samsung Galaxy C5 Pro has a similar design to the Galaxy C5, but the processor and front camera have been upgraded. The Samsung Galaxy C5 Pro comes with a 5.2-inch Full HD display manufactured with Super AMOLED panels. It has a metal unibody design and comes in Gold, Blue and Rose Gold colours. The Galaxy C5 Pro packs a more powerful Snapdragon 626 processor with eight cores and a 2.2GHz clock frequency, while its graphics operations are handled by an Adreno 506 GPU. The phone comes with 4GB of RAM and 64GB of internal storage which can be expanded up ti 256GB via a microSD card slot. The Samsung Galaxy C5 Pro sports 16MP cameras with f/1.9 apertures at the front and back, but the rear camera comes with a dual-tone LED flash. A Lithium-ion battery with a capacity of 2600mAh provides running juice for the Galaxy C5 Pro, and its fast charging technology ensures that the battery is recharged fast enough for you to resume your activities on time. The phone comes with NFC technology which makes it compatible with Samsung Pay, and a USB Type-C port which grants it USB OTG features. Like the Galaxy C5, the Samsung Galaxy C5 Pro features a fingerprint sensor embedded in its physical home button present below the display. It runs on Android 6.0.1 Marshmallow out of the box, which is quite disappointing considering that most smartphones of this calibre now ship with Nougat. Perhaps the development of the smartphone started since last year. The Samsung Galaxy C5 Pro costs 2499 Yuan in China and is already available for pre-order in the country. The smartphone would be available for purchase towards the end of March.